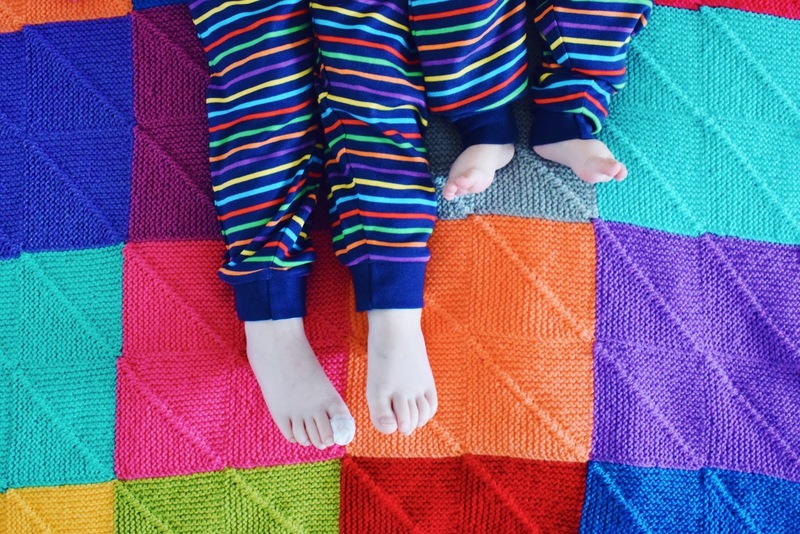 My favourite part of the day - whatever time that is - is getting into our pyjamas so if there was ever an item of clothing that needed to be the highest of quality, super cosy for all the cuddles and as fun and bright as my two are, it is our nightwear. Jojo Maman Bebe tick all of these boxes and more, so when these absolutely beautiful sets arrived on our doorstep we decided to live in them for most of a weekend and I've never been happier. It's no secret that I love a good twin with Ivy and Teddy and that doesn't stop at bedtime. Pjs are one of the easiest 'unisex' opportunities to buy them both exactly the same and as a childhood favourite of both mine and now Ivy's, I had to get the Elmer pyjama set. These are so unbelievably soft and fit in perfectly with our Saturday night storytime snuggles. Sunday morning, however, called for what Daddy calls 'second-stage loungewear' which is when we change out of the pyjamas we've slept in and into fresh ones to laze about the house all day - is there anything more perfect to end a crazy week? Ivy chose these amazing dinosaur ones for herself without even realising they came with a free book and infact glow in the dark (where's the adult sizes please) so we stuck with the jurassic theme for Ted too but going for the babygrow whilst we still can, he seems to be growing far too quickly and that's why days - and outfits - like this are sometimes the most important you can have.